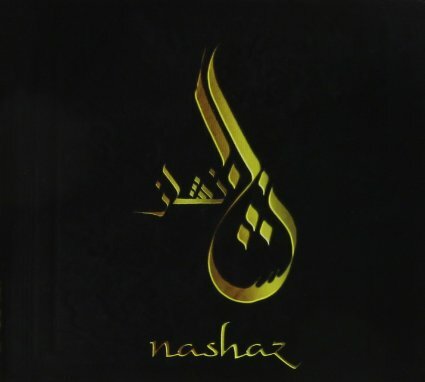 This group Nashaz is a mix of jazz and Arabic music. I see some jazz musicians go off on a tangent like this. Sometimes it works and sometimes it doesn't. The man behind Nashaz is guitarist Brian Prunka. He has mastered the oud. For those not familiar with it, the oud resembles a mandolin or a lute. It is very common in Middle Eastern music but most music fans here wouldn't be familiar with it. Prunka was born in Newtown, CT and he grew up in Miami. He studied guitar in New Orleans and then he moved to New York in 2003 to study the oud with Simon Shaheen. At the time he led the Near East River Ensemble. It doesn't look like they ever recorded. In 2008, he moved back to New Orleans to teach guitar at Loyola University. Then he moved back to New York and since then he has led various bands that mix jazz with Arabic music. Prunka said in an interview that he still plays guitar but he is drawn to the oud. He plays in several bands but Nashaz is his main band right now. Prunka released the album in 2013. He plays oud. Other musicians are Kenny Warren on trumpet, Nathan Herrera on alto sax and flute, Apostolis Sideris on bass, George Mel on percussion and Vin Scialla on tambourine. From what I can tell, Prunka still leads Nashaz in New York clubs and apparently the band has a following in the Arabic community. Here's Nashaz performing Hijaz Nashaz on what seems to be a New York Arabic community access show called The Bridge.